Lac and Varnish Brush, "ORION NISU"
Since genuine can be used at ease, it is recommended. You can purchase it without going to the shop and it is useful. This review is about item#45316573. It is in use without any problem. Delivery was also quick. Genuine is safe. This review is about item#45316537. This review is about item#45316546. 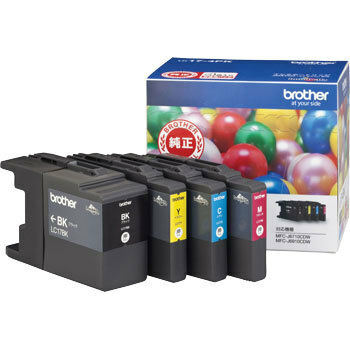 We use color inkjet printer (made by Brother) as proposal material to customers. I always use the manufacturer genuine products. Try it and print quality is good. Manufacturers can say generally, but running cost of ink is expensive and it is a problem. This review is about item#45316555. I bought it because the price was cheaper than I bought at home electronics store. Pure ink is still the best. One group is stocking as a spare when it runs out of ink.